Find the Okanagan College Copyright – Fair Dealing Policy here. 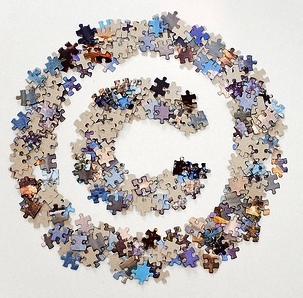 On November 7, 2012, the Copyright Modernization Act brought updates to Canada’s current copyright laws. This new legislation brings changes to the Copyright Act that are broad and far reaching for educational institutions, faculty, staff and students. Bill C-11, the Canadian Modernization Act (CMA), broadens the scope of the fair dealing exception to specifically include education, in addition to research, private study, criticism and review. All CMA provisions are now law, except for those relating to the WIPO Digital Copyright Treaties, WCT and WPPT, and the Internet service provider notice-and-notice provisions. Dr. Michael Geist, Canada Research Chair in Internet and E-commerce law based at the University of Ottawa, has written extensively on the implications of the act. “This will have a significant positive impact on educators’ ability to use copyright material in their teaching,” said Okanagan College Library Services Director and Copyright Officer Ross Tyner. This federal Act updates Canada’s Copyright Act for the first time since 1998. Bill C-11 also significantly expands the educational exceptions available to Okanagan College. Significantly, it considers for the first time the copying and use of digital materials, adds education as one of the purposes for which the fair dealing exception may be applied, and expands other educational exceptions available to students and employees of Okanagan College. What has changed for the College? The copying and use of digital learning materials are now included in both the Copyright Act and the College’s agreement with Access Copyright (previously, only print materials were covered). As a result, it is now permissible to upload copyright materials to Moodle, under certain circumstances (To check if documents or articles from a library database are permissible click on the title of the database in the Library’s electronic resource listing). The showing of a video in class is now permitted by the Copyright Act, without the need to negotiate public performance rights, as long as the copy of the video has been legally obtained. Education is now recognized as one of the purposes for which the fair dealing exception may be applied. This addition makes it much more likely than in the past that educational use of copyright resources will be allowed without seeking explicit permission from the copyright holder. The primary benefit of the Access Copyright license will be for the creation of printed course packs. What has not changed for the College? Copyright still applies, to both print and digital materials. Any use of copyright material that goes beyond what is permitted by the Copyright Act or the Access Copyright agreement still requires the permission of the copyright holder. Both the fair dealing exception in the Copyright Act and the Access Copyright license include limits to the nature and amount of copying that can be done. For more information about these limits, see the detailed description of changes. As of August 1, and until at least the end of 2015, Okanagan College is party to a license with Access Copyright – a voluntary collective of publishers and other copyright holders – that permits the use of copyright materials by students and employees of the College, according to prescribed guidelines. For the first time, the license includes rights to use digital, as well as print, materials. Copying done under the Access Copyright license must fall within prescribed guidelines. Digital files must be uploaded to a secure server, not to the public Internet (such as Moodle). Most day-to-day copying will now be considered fair dealing, and the Access Copyright license’s primary benefit will be for the creation of printed course packs. Please refer questions about course packs to the College Bookstore. In July, the Supreme Court of Canada ruled on five copyright-related cases, including one that is of particular importance to education. In a nutshell, the decision affirms that the copying of short excerpts of copyright material by teachers for their students may be considered fair dealing, even under the current Copyright Act, which does not explicitly include education as one of the purposes for which fair dealing may apply. The Court did not define “short excerpt” but the Association of Canadian Community Colleges (ACCC) has substantially revised its fair dealing policy and guidelines as a consequence of the decision. For more information, refer to the Library’s Copyright FAQ, which has been updated to reflect the changes described above, or email Ross Tyner, Okanagan College’s Director of Library Services and Copyright Officer. He can also be reached at Local 4665. The fair dealing exception includes three new purposes: education, parody or satire. This expands the existing exceptions: research and private study, criticism, review and news reporting. Copying under the fair dealing exception may still be restricted by the College’s Access Copyright License. distribute materials digitally; provided that they take measures to ensure that the patron print one copy only of the digital form, does not communicate the copy to another person and does not use the digital copy for more than 5 business days of first using it. There is a similar allowance for unpublished works deposited in archives. A limited number of provisions of C-11 are not yet in force, most of which relate to reciprocity of copyright protection in World Intellectual Property Organization (WIPO) treaty countries, which will not come into force until each of the WIPO Copyright Treaty and WIPO Performances and Phonograms Treaty come into force in Canada.